Justin McGuirk, Chief Curator at the London Design Museum joins the show to talk about their current exhibit, "California: Designing Freedom." We trace how the last 60 years of west coast history influence the design of the products we use today. This week on the show, we talk to Laura Kalbag about her new book, Accessibility for Everyone. We discuss how digital products have an increasing mandate to be broadly usable by everyone in society, and what we can do to achieve better accessibility in our designs. 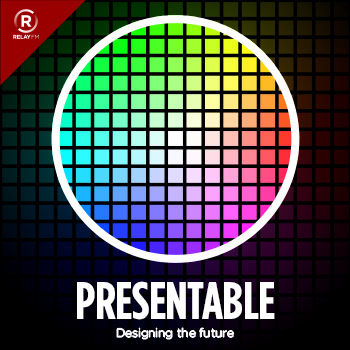 Special guest Josh Clark joins the show to talk about the implications of artificial intelligence on design and how designers can start to understand and influence the capabilities and limitations of these incredibly complex systems. This week we discuss CSS Grid Layout with Jen Simmons, Designer Advocate at the Mozilla Foundation. We also cover how web standards are made, how that's different from the past, and how to keep up with it all. Hardware designer Matt Webb joins the show to discuss why it’s so difficult to design great physical products, how our expectations have changed so much, and why he loves wearing his Snapchat Spectacles to cricket matches. User research expert Farrah Bostic joins the show to talk about empathy. That term is in the news a lot lately, and we go deep on its importance in design, how to grow it among product teams, and — very frankly — how it’s frequently misused.